Use Epsom Salts to boost your health and deal with the stresses and strains of modern life. See if Granny did know best. Epsom Salt is also known as Magnesium Sulphate, and while it no longer comes from Epsom in the UK, it is naturally mined in Germany and is the best product on the market. Epsom Salt is well known to ease many ailments from aching muscles and joints to dry skin and sunburn. Sourced from the manufacturers K&S Kali in Germany, we only stock the top quality FCC grade so whether you choose to use it on your feet or put it on your roses in the garden you can be sure it is the best Epsom Salt out there. Epsom Salt did originally come from Epsom in Surrey but the original wells have not been used for many years. However, it was later discovered that magnesium sulphate (its scientific name) could also be found naturally in mines and limestone caves. This where it comes from today. The Epsom Salt we supply you today is mined out of the ground in Germany, which we actually think is pretty natural. It is popular with all sporting people from cyclists to runners to footballers to rugby players as it helps to ease those aches and pains. Try a long soak in epsom salt after your training session and it will certainly ease your muscle pain. supplied in 1kg bags. We have the 1kg bags packed for us by our local contract packer (BCMPA accredited member, ISO9001, ISO14001 registered firm) so we know it's packed properly in the right environment. Every home should have some Epsom Salts! 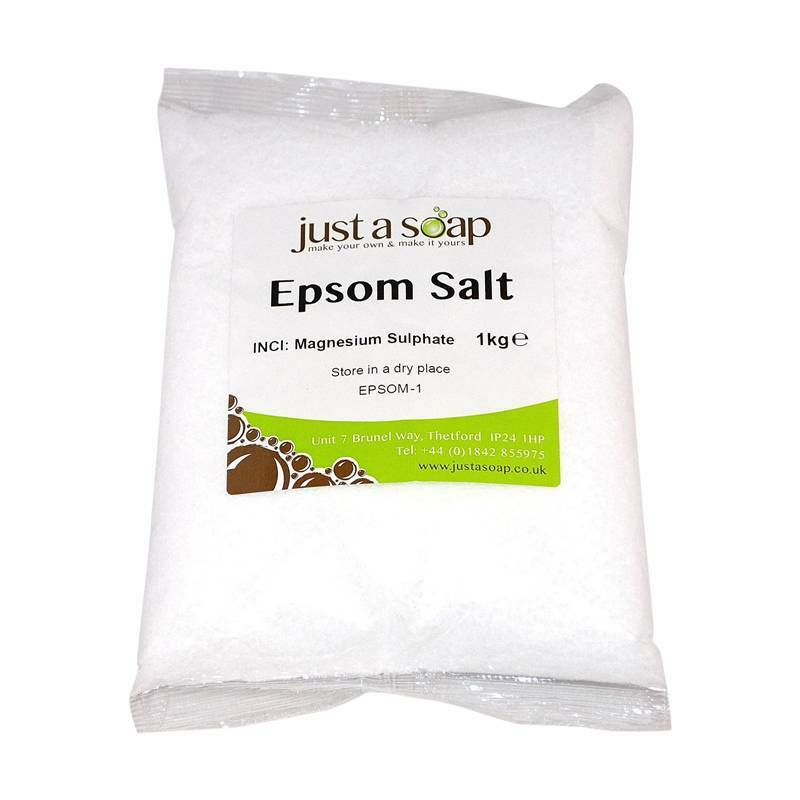 As a first time user of justasoap I was shopping specifically for the Epsom Salts. I found the ordering process to be smooth, nice to get a choice of quantity on one page and the delivery was well communicated with excellent tracking information. The product itself came well packaged and the use of several smaller bags makes sense with the nature of the salts wanting to absorb moisture I assume.